My parents own a farm and use drugs like antibiotics meant for their cows and chickens to treat themselves. I think they are doing this to save money. Is this safe for them to do? If not, what should I tell them? This is a really interesting question. The practice of humans using medications meant for animals is not uncommon, especially with people who work with animals, such as farmers, rodeo employees, horse trainers, and veterinary staff. There are a number of issues with this practice. It is illegal for veterinarians (or anyone else) to sell or dispense any medications that are intended for animals for human consumption like antibiotics. Packages prepared by the drug manufacturer have clearly marked "not for human consumption" or some similar phrase. Many drugs sold or dispensed by veterinarians for the treatment of illness in small domestic animals are generic equivalents of human drugs. For example, a pet cat can have an inflammatory bowel problem and take prednisone for this condition—the same medication humans can get with a physician’s prescription. However, medications produced for livestock and intended to be mixed with feed may not undergo the same level of manufacturing scrutiny by the U.S. Food and Drug Administration (FDA) as human drugs do. These products may have more impurities that don't represent a health concern for the animals but could represent a risk for people. A bigger issue, however, is self-medicating with drugs that may not be appropriate. This self-medicating may especially be a problem with the self-diagnosis of an infection and then self-treating with an animal’s antibiotic. The self-diagnosis may not be correct. The antibiotic may not be the correct one to treat the infection or the dose may not be correct. Please remember that an incorrect diagnosis or incorrect medication can put someone’s health at great risk. If cost is the issue, many antibiotics are generic and can be purchased for as little as $4 for a prescription. On a more specific note, another reason why people shouldn't take antibiotics meant for animals involves antibiotic resistance. One of the biggest health problems in the world is the emergence of multidrug-resistant bacteria that overcome the actions of conventional antibiotics. Without drugs to keep these "superbugs" in check, terrible and deadly infections can result. 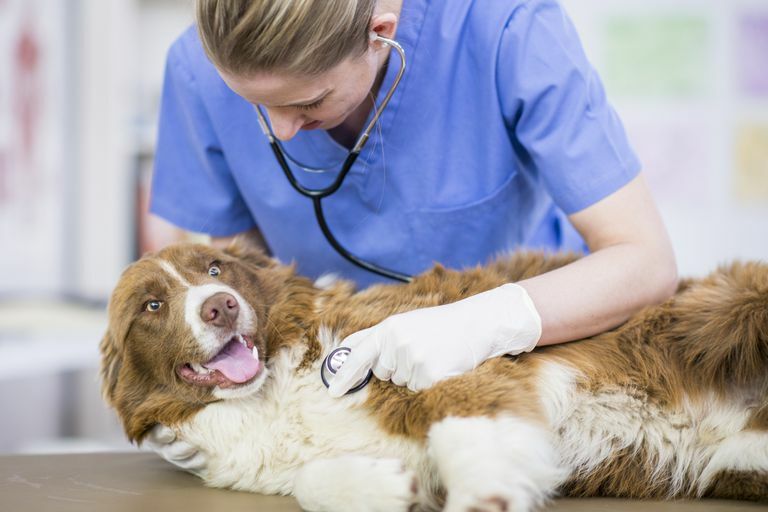 If a person were to take random veterinary antibiotics without physician oversight, she increases her risk for selection of multidrug-resistant strains of bacteria. From a personal perspective, this selection for multidrug-resistant organisms is dangerous because these multidrug-resistant bacteria stay in her system and could cause a later infection that is very hard to treat. From a public health perspective, selection of multidrug-resistant bacteria can contribute to the ever-growing problem of antibiotic resistance ... a problem that plagues modern health care. The bottom line is that people who work around animals should never take animal medications. Instead, prescription medications should be taken only after a physician evaluates your or your loved ones' health condition and prescribes the appropriate medication. Weinstein RA. Infections Acquired in Health Care Facilities. In: Kasper D, Fauci A, Hauser S, Longo D, Jameson J, Loscalzo J. eds. Harrison's Principles of Internal Medicine, 19e. New York, NY: McGraw-Hill; 2015. Accessed January 30, 2016.